2018 Mesa Carnival - A Success! Mesa families and friends had fun playing and working together. Special thank you to our 2018 Carnival Chairpersons - Dana Lan and Jennifer Turner. We still need a 2019 Carnival Chairperson and Team. Planning for the next Carnival will need to start next spring with a solid team foundation that needs to be established ASAP. 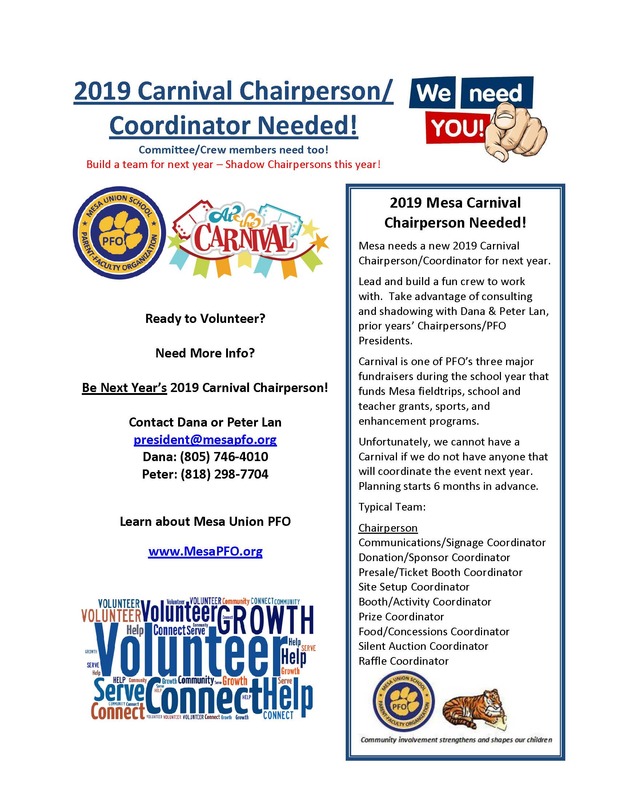 Email info@mesapfo.org to be the Chairperson and ensure that the annual Carnival tradition continues.